University College London (UCL) is one of the world’s leading multi-disciplinary universities, currently ranked fourth in the world by QS World University Rankings. UCL Qatar is a partnership between University College London, Qatar Foundation and Qatar Museums Authority and is a centre of excellence for the study of museology, archaeology and conservation at the post-graduate level. While drawing upon the renowned expertise of UCL's leading academic scholars, teachers and scientists, our programmes have a significant focus on the Gulf and the wider Middle East region. 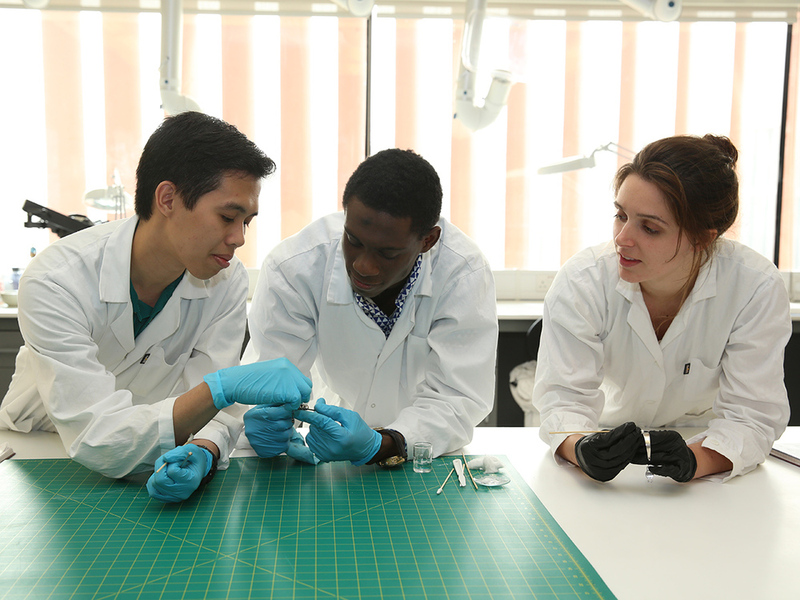 A substantial part of the MSc Conservation Studies curriculum focuses on practical work in the labs, covering a wide range of materials, from objects to textiles and contemporary art. 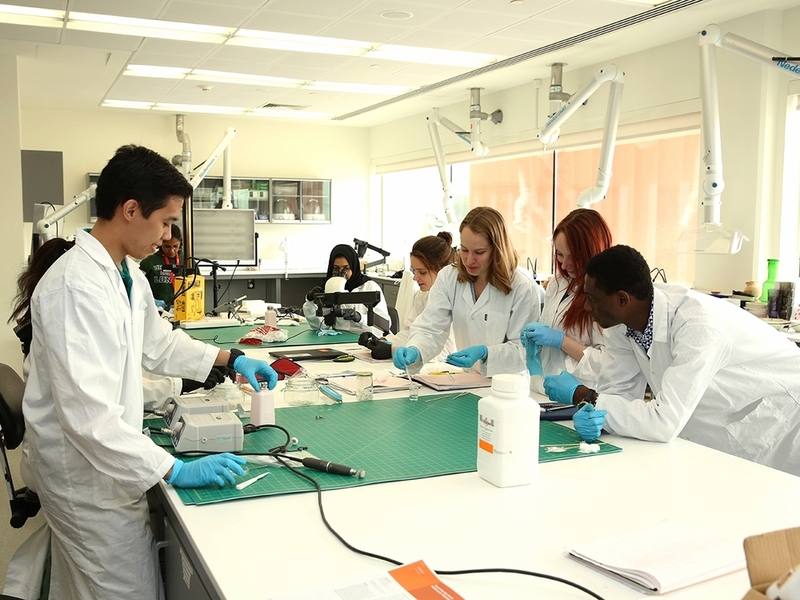 Students at UCL Qatar benefit from exceptional facilities, including the most advanced new conservation, materials science and archaeological research laboratories in the Gulf region. Second year students of the MSc in Conservation Studies. Students train in the theory and practice of conservation and specialise in a material of their choice in the second year. 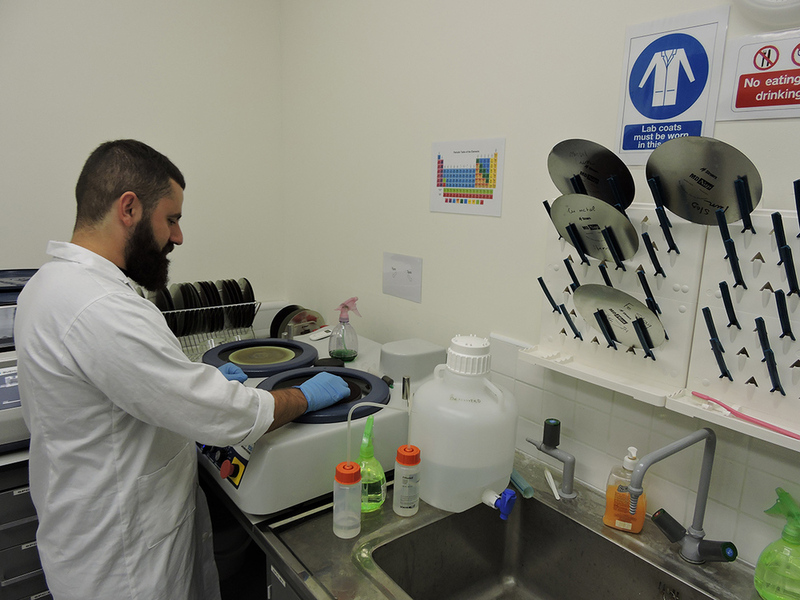 Sample preparation in the materials science laboratory. Explore the campus, facilities and student experience at UCL Qatar, an international department of UCL offering leading graduate-level teaching and research in archaeology, conservation, museum studies and librarianship. Based at Education City, Doha.